After becoming adopted as a primary trainer by the USAF, the United States Navy and Marine Corps adopted it as well. Although the Air Force phased out the aircraft out of primary pilot training by the early 1960s, continuing use only for limited training of special operations aircrews and for primary training of select foreign military personnel, the aircraft continued to be used as a primary trainer by the Navy (and by default, the Marine Corps and Coast Guard) well into the early 1980s. The largest single concentration of this aircraft was employed by the U.S. Navy at NAS Whiting Field in Milton, Florida, in the training of student naval aviators. The T-28's service career in the U.S. military ended with the completion of the phase in of the T-34C turboprop trainer. The last U.S. Navy training squadron to fly the T-28 was VT-27, based at NAS Corpus Christi, Texas, flying the last T-28 training flight in early 1984. The last T-28 in the Training Command, BuNo 137796, departed for Naval District Washington on 14 March 1984 to be displayed permanently at Naval Support Facility Anacostia, D.C. Many T-28s were subsequently sold to private civil operators, and due to their reasonable operating costs are often found flying as warbirds today. 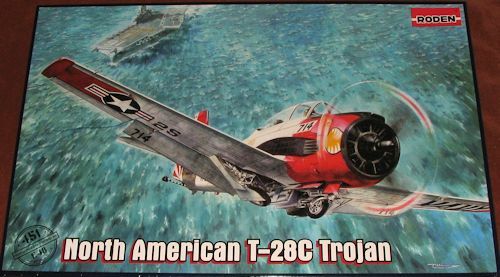 The subject of this kit is the T-28C. This was a US Navy version, a T-28B with shortened propeller blade and tailhook for carrier landing training, The nose wheel was also smaller than on the USAF T-28 and had a higher pressure tire. 266 built. 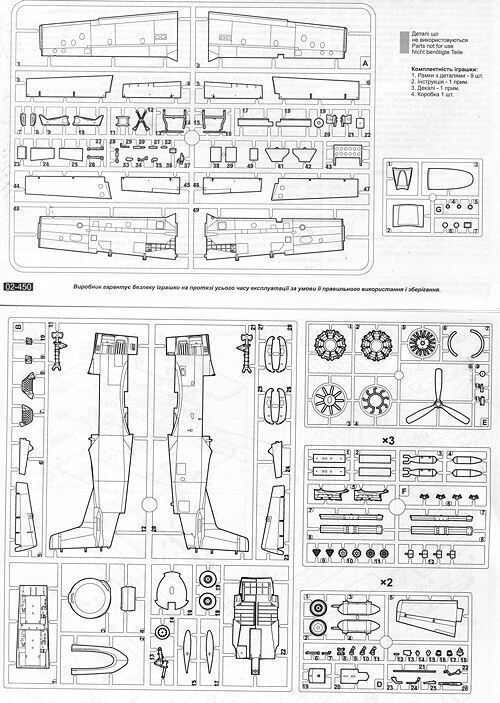 This third T-28 release by Roden is basically the same kit as their T-28B with the addition of a new sprue for the different bits used by the T-28C and a new decal sheet. Below is a recap of an earlier preview on the T-28B with additions regarding the upgrade. Both the flaps and the ailerons are separate items. It was normal for the flaps to be down when the aircraft was on the ground. I also noticed that the little actuating rods for the three cowl flaps were part of the kit. The speed brake can also be posed down. This was handy for maintenance as the UHF radio was in the open speedbrake well. Gear wells are nicely done though, like the speedbrake well, they are fictitious and basic. The gear is nicely detailed and the nose gear is quite scale, which means it may be easily broken. This is especially true once sufficient nose weight is installed, as a great deal will be needed. I should point out that I found the nose gear too short or main gear too tall when building my T-28B as it ended with a distinct nose down stance that seemed to be a bit too much. You may want to keep this in mind when building this one. Finally, the canopy sections are separate with the glass separate from the frame for the rear piece. The additional sprue takes care of the few differences between the T-28B and T-28C. This includes the shorter and broader prop, the different rudder, the insert for the rear and the tail hook. It also includes a new starboard wingtip as apparently the formation light on the C was moved to the front of the tip on this side. This new sprue replaces the bombs sprue shown in the overall parts image. Instructions are well done with references for four major paint lines. All the colors needed during build are clearly shown. There are markings for two planes. One is the box art plane from VT-7 in the s tandard trainer scheme of white and international orange. The rudder markings will need to be masked and painted. The other is a light gull grey over white plane from VA-122 that was used as much as a hack as anything else. Both of these schemes are seen on warbirds. The decals are nicely printed, but the gold/yellow for the tail stripe on the VA-122 plane, the sharkmouth on the VT-7 plane and the rescue arrow are off register. Fortunately, there are aftermarket decals for this version done many years ago for the Monogram kit that should fit and I'm betting that there will be a Superscale release coming soon. Except for the experimental YT-28E, the only other version to be kitted would be the smaller engined T-28A. 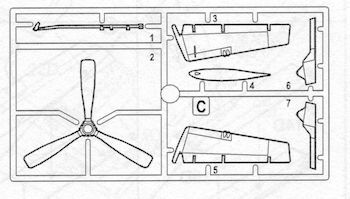 This will require more than just an additional sprue as the forward fuselage is different. However, I am anticipating that this will be done. Meanwhile, we now have a very good model of the carrier-capable Trojan so you can now pack away your Monogram kits and Black Box conversion sets!